Our Care Programme mission in Vietnam is to provide sustainable educational support, care and protection to disadvantaged children and vulnerable groups. Volunteers work to support local staff, and organise activities to enhance the emotional, physical and cognitive development of the children. You do not need qualifications or previous experience to join this programme – energy, dedication and a desire to help others are all that is required. Through your efforts, you will work to improve the quality of life for disabled children, helping them to learn new skills and become more independent. 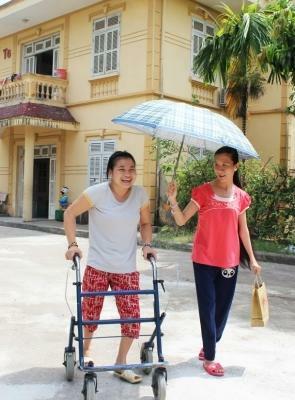 We work with a number of different care centres in and around Hanoi, including day cares and rehabilitation centres. Most of the children have some form of disability, which may be mental or physical. Autism is one of the most common conditions you will encounter. The legacy of Agent Orange exposure means that there are still many children being born with illnesses and other medical conditions. The help you provide will be varied - it may involve practical care activities such as assisting at meal times and helping the children get ready for the day ahead. You will organise educational activities to improve their literacy and numeracy skills, and teach life skills such as basic hygiene. There will also be the opportunity to play games, arrange arts and crafts sessions, and take the children outside for walks. On Care placements such as these, there is a huge scope to get involved. In order to support our volunteers, the Projects Abroad team in Vietnam organises a Care workshop every other month. These workshops allow volunteers to discuss any issues they might face at their placements, and share ideas on planning activities. You also get the opportunity to attend creative workshops such as dance, crafts and martial arts, run by local specialist teachers. In the months when there is not a Care workshop taking place, a similar Teaching project workshop is arranged, which also covers useful topics for Care volunteers. Although some of the staff at the Care projects speak only a basic level of English, the enthusiasm of both the staff and children ensures that you will be able to make yourself understood. If you wish, Projects Abroad will also be able to provide you with a translator during your first week to help you settle in. Over the years, our volunteers have worked with children at orphanages and residential care homes in Vietnam. They have done incredible work at these placements, improving living conditions there and creating opportunities for children by supporting their education and care. However, we have decided to move our focus away from orphanages and homes toward community and family-based care. This is because we believe stable family environments are best for the children we work with. Read more about orphanage volunteering and our position on it. This means that instead of volunteering in orphanages in Vietnam, volunteers will work in placements like day care centres, kindergartens and schools, or support groups for the elderly and mothers and babies. This will help Projects Abroad build stronger relationships with local communities and – most importantly – help families stay together and flourish. 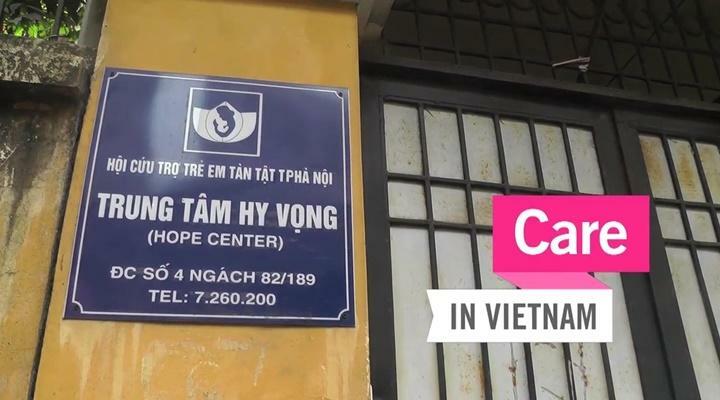 You can join the Care project in Vietnam for two or three weeks if you don't have time to join us for four weeks or more. This project has been selected by our local colleagues as being suitable for short term volunteering for both the host community and the volunteer Although you will gain a valuable cultural insight and work within the local community please be aware that you may not be able to make the same impact as someone volunteering for a longer period.